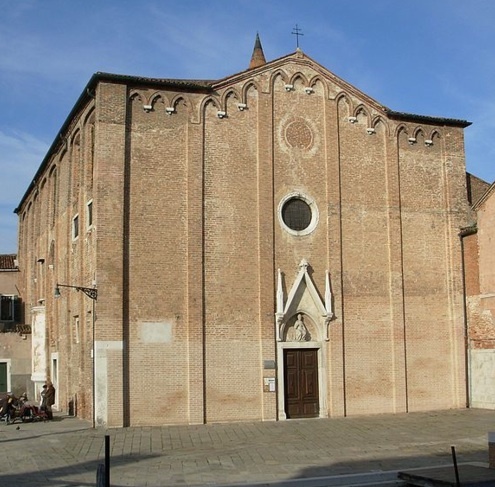 This church, tucked away in the open outer reaches of northern Cannaregio, is a prime candidate for the title of ‘loneliest church in Venice’. But it's far from the least interesting. When this land was reclaimed in the 14th century, a doge’s daughter named Antonia Vernier had a vision of St Louis of Toulouse and founded a monastery in his name (Aloisius in Latin, hence Alvise in Venetian). Its brick Gothic façade of 1388 is so severe it hurts: ‘OW!’ says its peephole rose window and doorway. Behind it stands an equally severe little campanile; yet seen in the evening light Sant’Alvise takes on a rare beauty in its un-Venetian simplicity. Nor is the interior any less stern: rearranged in the 17th century, it features an early version of a barca, or ‘nuns’ choir’, hanging over the door, with wrought iron grilles over the windows to preserve the nuns’ anonymity. 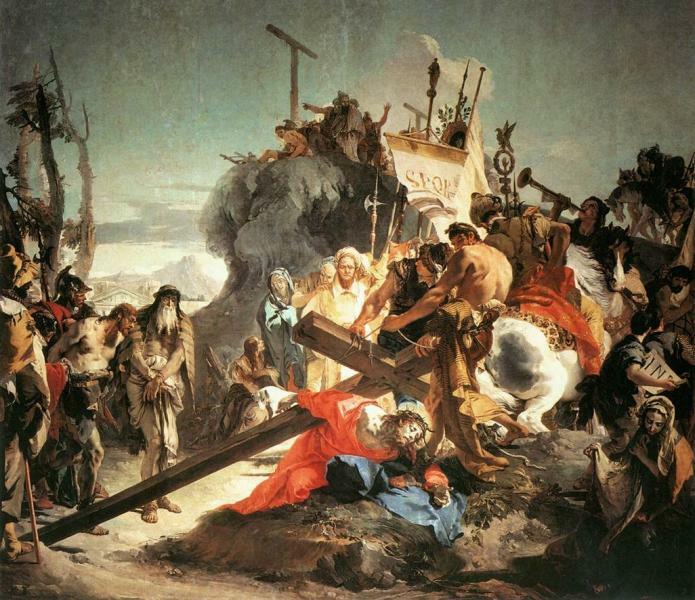 Sant’Alvise’s weightiest art is by Giambattista Tiepolo: The Crown of Thorns and Flagellation (both 1738–40) on the right wall, and his enormous, scenographic Road to Calvary (1743) in the choir, a composition inspired by Tintoretto. The astonishing trompe l’œil ceiling, with a huge building of Jerusalem rising up to heaven in crazy perspective, is a joint effort by two 17th-century painters, Antonio Torri and Paolo Ricchi. Ruskin’s favourite was the Solomon and the Queen of Sheba with its scene of the medieval Golden Legend of the Holy Cross – the bridge in the picture is made of a tree that St Michael gave to Seth to plant over the tomb of Adam, and the Queen of Sheba is warning Solomon not to cross it, for she has had a prophetic dream that it would some day bring about the end of the Jews. Solomon listens to her advice and goes on to bury the beam, but it is destined to be dug up and shaped into the Cross. Pietro della Vecchia painted the other scenes on the back wall: the Theft of the Body of St Mark and The Saracens Refuse to Inspect the Basket with the Body of St Mark, both of which started out as cartoons for mosaics in St Mark's. Sant'Alvise is a Chorus church.